Aside from not letting my to-do list get in the way of the holiday joy, I'm also not going to let it stand in the way of good manners. So I didn't want to go too long before thanking 4 lovely bloggers who featured A Brooklyn Limestone in one of their posts. As if I didn't already get a warm and fuzzy when I know someone reads my ramblings! When someone feels strong enough to share it with their readers, its even more humbling. Thanks ladies. I'm a long time reader of jeremy & kathleen. They are fun (and stylish!) neighbors that I wish I had. I even love their cheerful banner! Thanks for featuring my Coney Island photos. Their subtitle really does sum it up. Simple, natural and cozy is what Vermont Cottage is all about. I discovered TEOT for the first time via flickr. They discovered me by way of Apartment Therapy. Full of inspiration and I'm honored they picked my house as part of it. As you know, My Sparrow is one of my sponsors but she is also the writer of another great inspiration blog, greige. Check them both out. Speaking of sponsors, would you like to advertise here?.  postscript: If you featured me or A Brooklyn Limestone and I didn't mention you - please let me know. Sometimes I miss them. Thanks again!! Always a pleasure! I may adopt that same motto. I feel as though I can't catch my breath! And of course you're being featured on other blogs, my dear! Your "ramblings", as you call them, are very blogworthy! Hope the end of the week and weekend are kind to you! I adore Vermont Cottage! and I am now going to check out the others! I am so stealing that motto. I have adopted that motto. We just moved from Florida to a suburb of Cincinnati and I am not doing Thanksgiving or Christmas:) My parents are coming up before Christmas and she still is talking about me putting up a tree and I am just not able. We are just getting unpacked and I can't stand the thought of dragging Christmas decoration. I am doing what is best for us and NOT everyone else. Have a great Thanksgiving. I am sending you the cookie recipe soon.